Salina Polypropylene packaging has many characteristics which make it especially suitable for packing food and baked goods.Strong and flexible filmHigh gloss and transparencyStrong barrier to water and vaporsHighly resistant to chemicals, fats, gas and fungus.Withstands temperatures up to 130 degrees C.Dimensional stabilityTakes an excellent printed image.Applications: These characteristics make Salina film highly suitable for:Sliced breadCakes and cookiesBaguettes and rollsOptions and Additions: Salina manufactures exclusively to customer specification, offering many options:Size according to specificationsHighest quality of printing in up to 8 colors on both sidesMicro and macro perforation enabling hot products to breathe.Permanent or re-sealable adhesive tapePacked as separate units, grouped on wickets or blocked, cut sheets in different sizesFilm for automatic packaging machines.Salina Industries (1972) Ltd. complies with ISO 9001:2000 Standards.All of its products undergo rigorous quality control testing and meet international packaging standards and are approved by the FDA and BRC. Our Cast and Bi-oriented polypropylene film is strong and flexible, highly transparent and glossy, making it especially suitable for conical sleeves for cut flowers, fresh herbs and potted plants. Our film takes an excellent printed image, offering the highest quality of printing in up to 8 colors on both sides. All of our flower sleeves are made exclusively to customer specification, including dimensions, thickness, and micro and macro perforation. Likewise, we offer the know-how and suitability of sleeves for machine packing of cut flowers. Salina polypropylene packaging has many characteristics which make it especially suitable for packing fresh fruit, vegetables and herbs: Strong and flexible film High gloss and transparency Strong barrier to water and vapors Highly resistant to chemicals, fats, gas and fungus Withstands temperatures up to 160C Dimensional stability Takes an excellent printed image. APPLICATIONS These characteristics make Salina polypropylene film highly suitable for: Vegetables sold directly to shops – tomatoes, lettuce, green onions, etc. Spices and herbs – oregano, mint, etc. Exotic fruits such as pineapples. OPTIONS AND ADDITIONS Salina manufactures exclusively to customer specification, offering many options: Anti-fog treatment Microscopic perforation (Laser) Microperforations on one or two sides Permanent or re-sealable adhesive tape for bag closing Highest quality printing in up to eight colors Bags available as separate units, grouped on wickets or blocked Size according to specifications Rolls for automatic packaging machines Cut sheets in different sizes. Salina Industries (1972) Ltd. complies with ISO 9001:2000 Standards. All of its products undergo rigorous quality control testing and meet international packaging standards and are approved by the FDA and BRC. Salina Industries packaging helps you to extend the shelf life of your products by employing various methods of Controlled Atmosphere Packaging (CAP). Through the use of microperforation and microscopic perforation, the levels of oxygen and carbon dioxide can be modified and maintained, thus extending the shelf life of fresh produce. For more information, refer to “Our Technology”. GRS has decades of experience in printing and lamination processes in all food categories. We manufacture cheese and yoghurt lids, cup banners, ice-cream wraps and packaging. 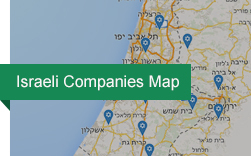 GRS customers include high-end international food groups such as Unilever, Coca Cola, Nestle, Lipton Tea, DANONE and leading Israeli corporations.